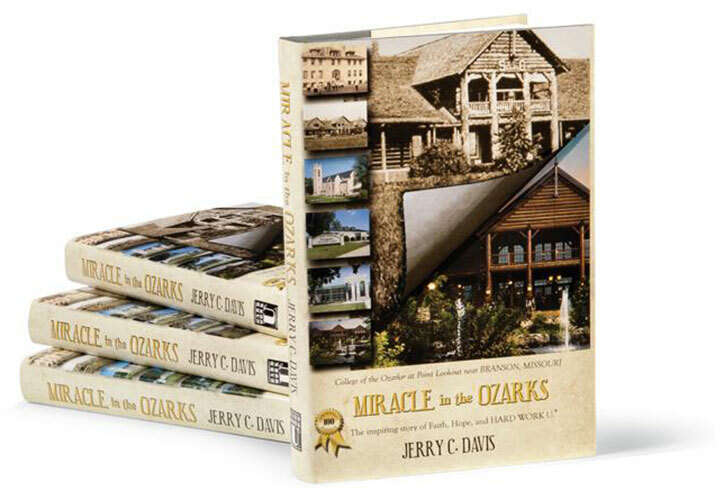 Receive a complimentary copy of Miracle in the Ozarks which tells the story of “America’s College” -- miraculous in its growth, inspiring in its character. The book features anecdotes from the College’s 100-year history, as collected and written by President Jerry C. Davis. All proceeds go to benefit the Patriotic Education Travel Program and Camp Lookout, a FREE Christian camp for area children. Salutation: Please Select Mr. Mrs. Mr. and Mrs. Dr. Miss. Ms.
One or more forms are incorrect. To achieve this vision, the College has Academic, Vocational, Christian, Patriotic and Cultural goals. Even as College of the Ozarks has evolved through secondary and junior college stages to the present four-year liberal arts institution, the fundamental goals have remained the same.